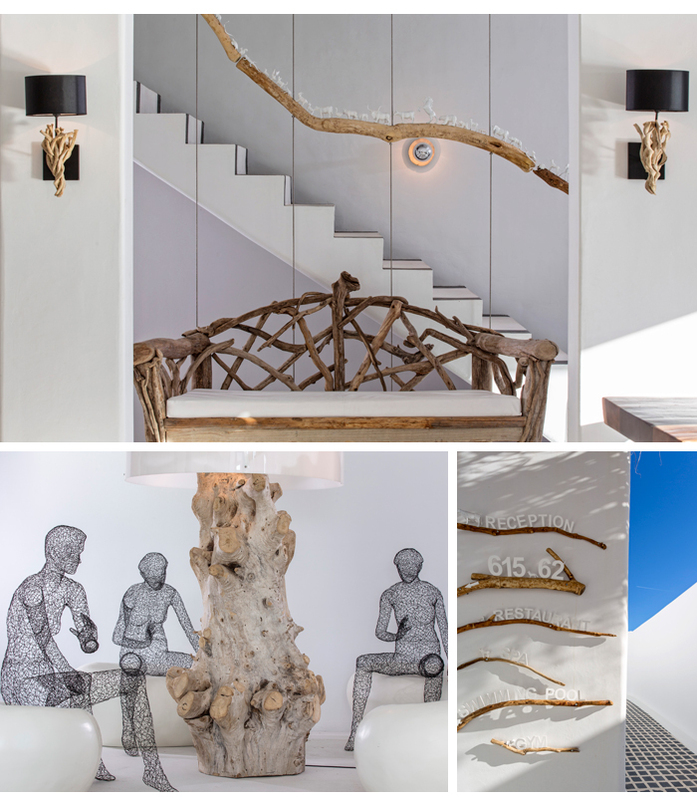 Myconian Collection is a local family-owned brand encompassing nine outstanding luxury hotels on the legendary island of Mykonos that offer guests a variety of the most fascinating locations, avant-garde Thalasso spa centres, gourmet restaurants, outstanding conference facilities and magnificent wedding venues. Each property offers individual experiences, its own original personality and bespoke design features in three stunning locations across the island. 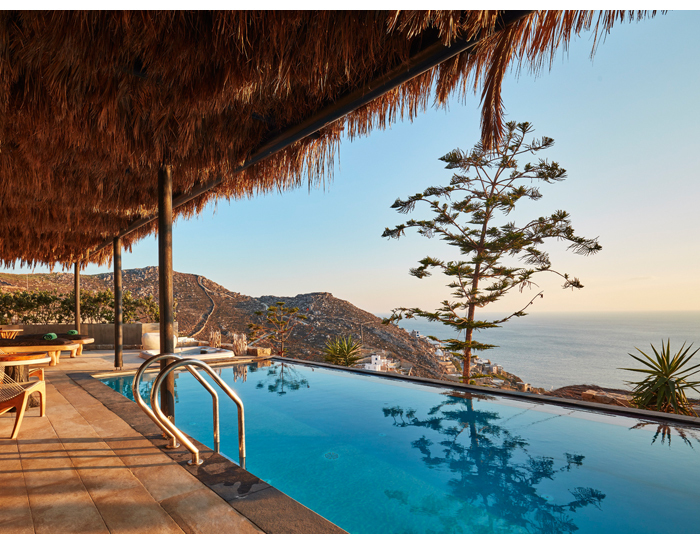 The first thing you’ll notice about Myconian Utopia Resort – Relais & Châteaux is the blueness. Cloudless skies arch over the idyllic Greek town, uninterrupted until they meet the calm Aegean sea. It’s mesmerising, all that blue. 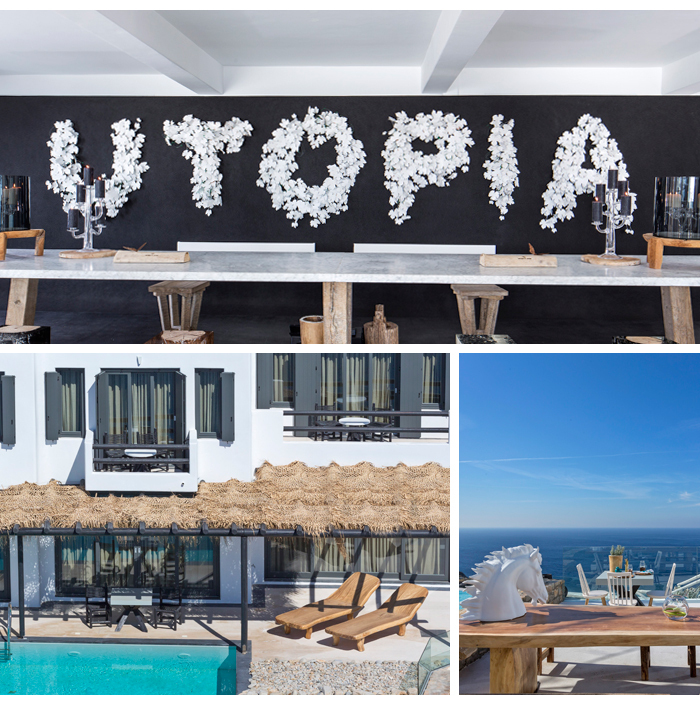 The hue has even inspired some of the resort’s fabulous décor; think hippy-chic meets art-school-luxe with pops of euphoric cobalt dotted everywhere from the lobby to the guestrooms. 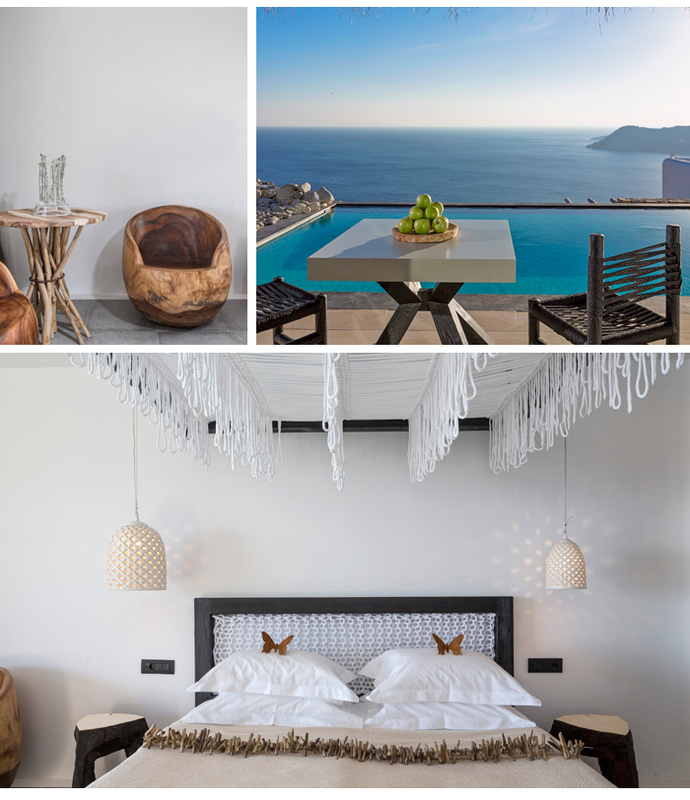 All rooms are sea-view, making the most of the breath-taking scenes beyond your balcony or terrace. The design element comes into its own; tall ceilings, white walls, and lightweight fabrics. 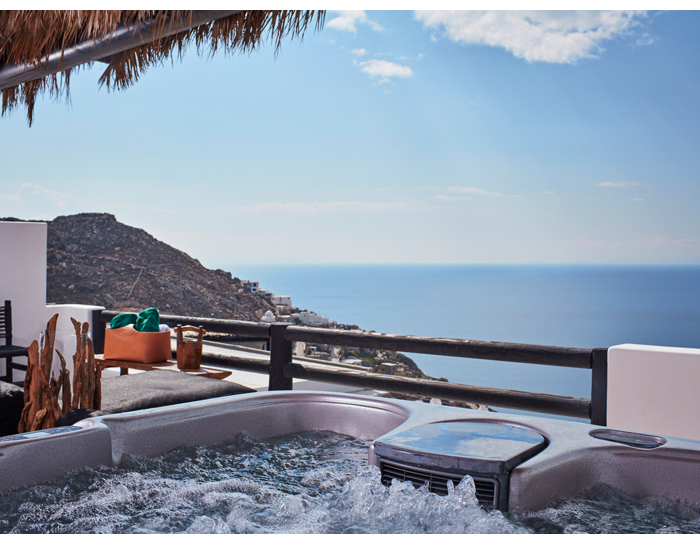 Thrillingly, all have an outdoor pool or jacuzzi option to make the most of the spectacular sunsets. 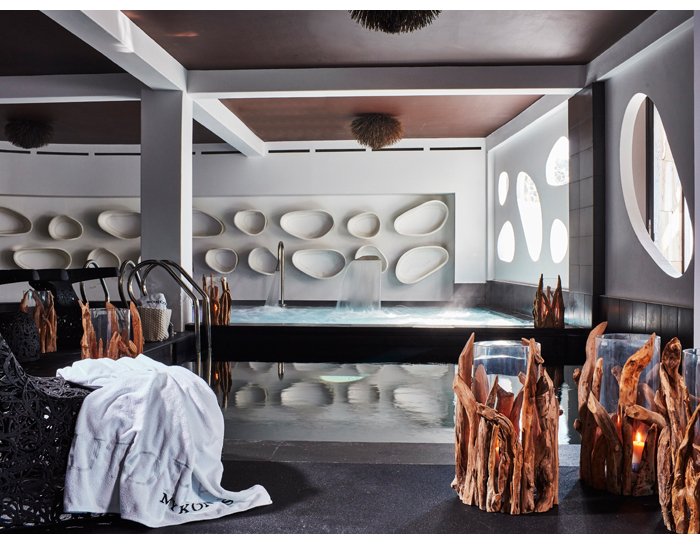 Slip into a cocoon-like state of well-being at the luxe Myconian Utopia Resort Sanctuary Spa. Given how close the resort is to the sea, it would be rude to refuse the thalassotherapy on offer, which uses seawater to promote health and well-being. If that’s not your bag, there’s plenty on the menu. Try the Lavender Turkish Salt scrub for ridiculously soft limbs, or book the Chill Out massage, a full-body treatment with warm shells plucked from nearby Elia Beach. The resort is a superb example of what happens when hoteliers pay equal attention to style and substance. The design-led interiors are undeniably made for Instagram (cameras at the ready! ), but there’s also a responsibility to the environment at its core - unsurprising given its location. Who wouldn’t want to protect this paradise? For example, all rooms are fitted with sustainable materials and your candlelit dinner is made with gourmet locally sourced ingredients. We’ve seen the future of luxe honeymoons - and it’s green. 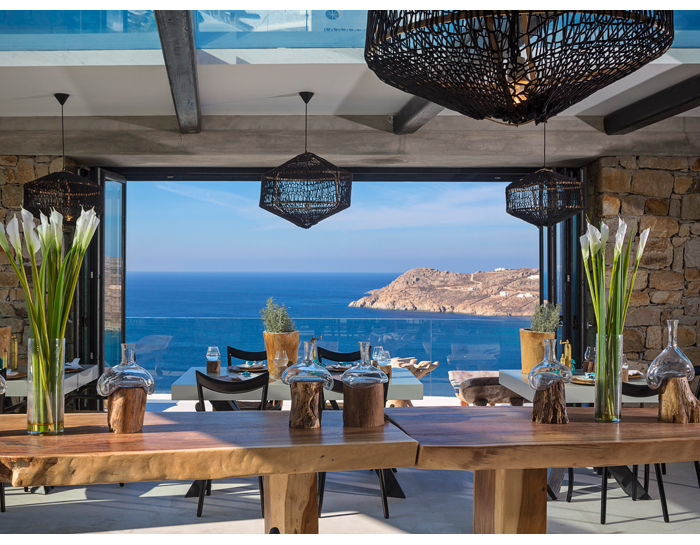 Perched high (300ft, to be precise) above Mykonos, Pavilion Relais & Chateaux Restaurant commands appetite-whetting views over the Aegean sea. Naturally seafood is the freshest you’ll find anywhere on the island with octopus, lobster and scallops on the menu alongside garden-fresh salads and organic meat.